The volume contains 320 letters and enclosures from around 30 correspondences. 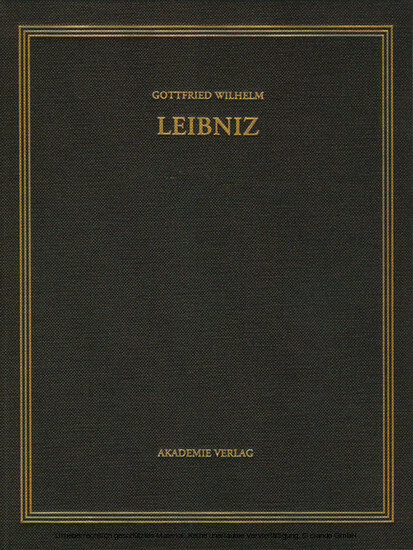 Four major developments dominate his conversations during these three years and lead to new themes: the astronomical, political, and theological aspects of the 1700 Protestant calendar reform; the newly founded Sozietät der Wissenschaften in Berlin; the discussion on Leibniz's differential calculus, and the controversy with Denis Papin concerning dynamics. Michael Kempe, Charlotte Wahl, James G. O'Hara und Uwe Mayer, Leibniz-Archiv/Leibniz-Forschungsstelle Hannover.